The Adventure Begins Wedding Guestbook is a vibrant green guestbook for your travel themed wedding day! 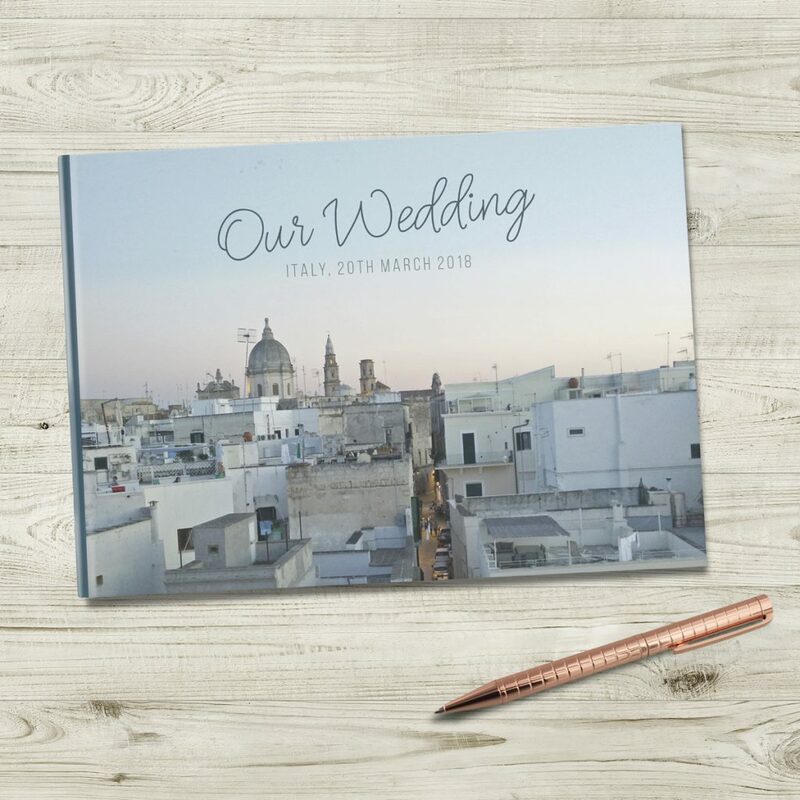 An A4 sized hardbacked book with 100 blank white pages. 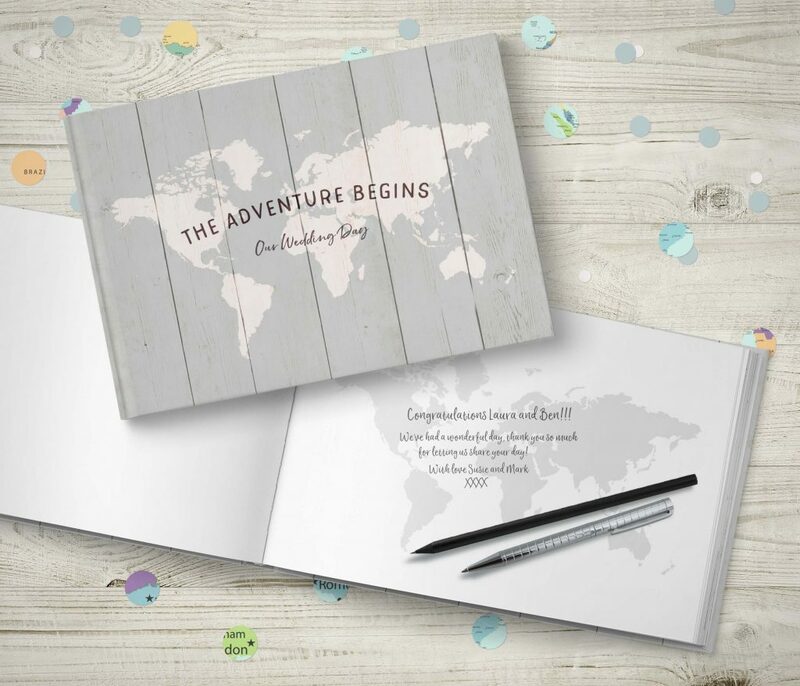 Travel themed wedding guestbooks with world maps printed inside. 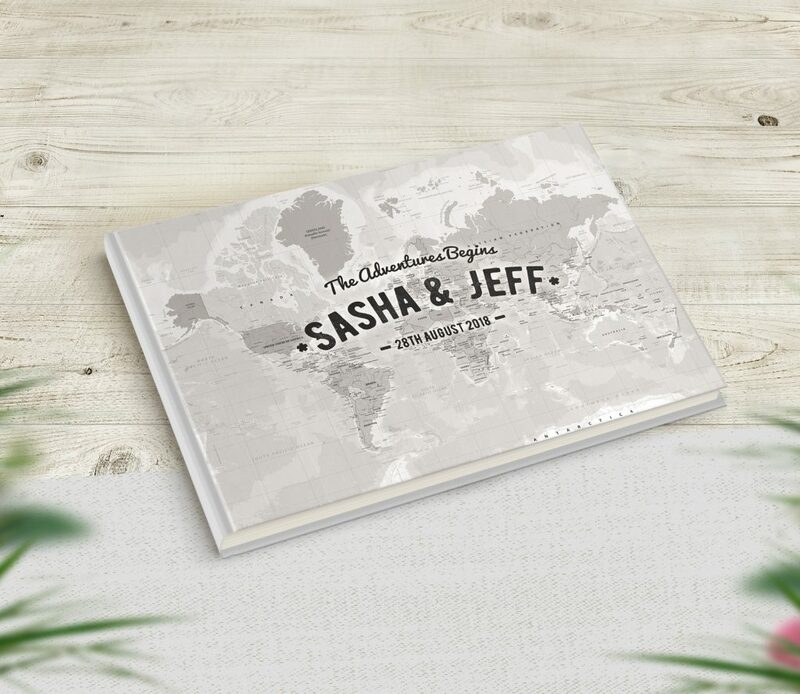 A rustic grey cover featuring a world map – perfect for adventure loving couples! 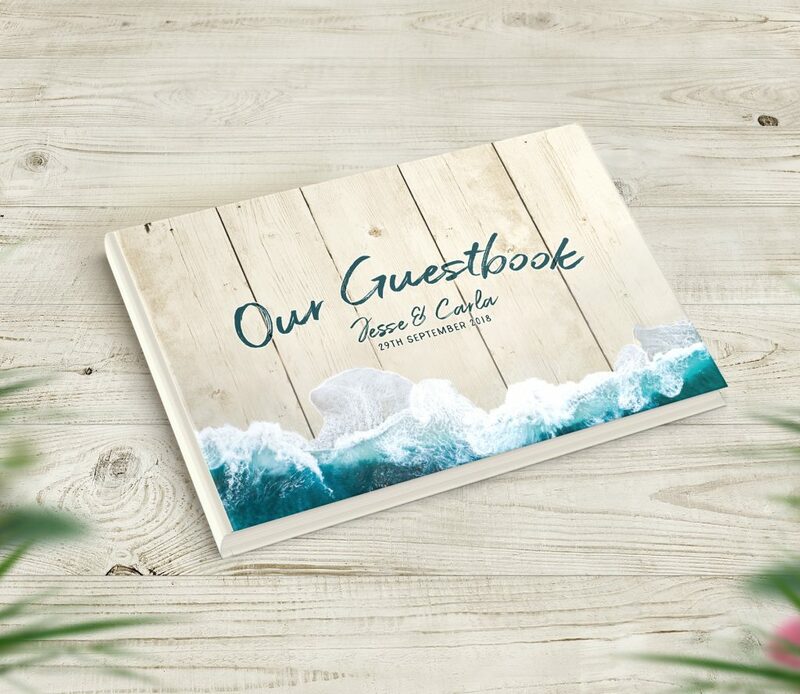 A beautiful Beach Themed Wedding Guestbook Guestbook that includes your personalised text on the cover. The cover features a sea coast photo on a wood look background. The background image has the style of wood, but is not textured. 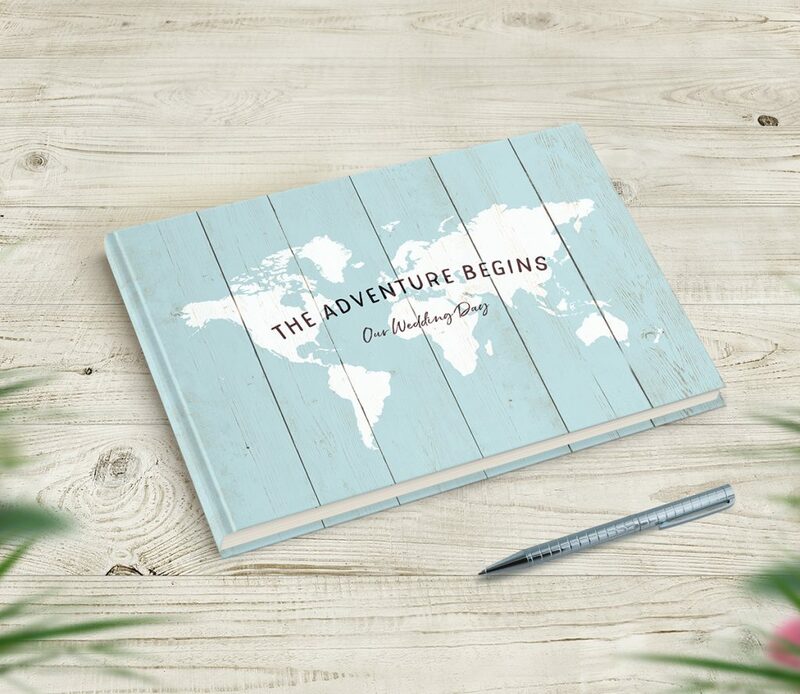 A beautiful Watercolour Travel Themed Wedding Guestbook that includes your personalised text on the cover. The cover features a watercolour style map on a watercolour style background. The images are not hand painted and are arranged digitally. 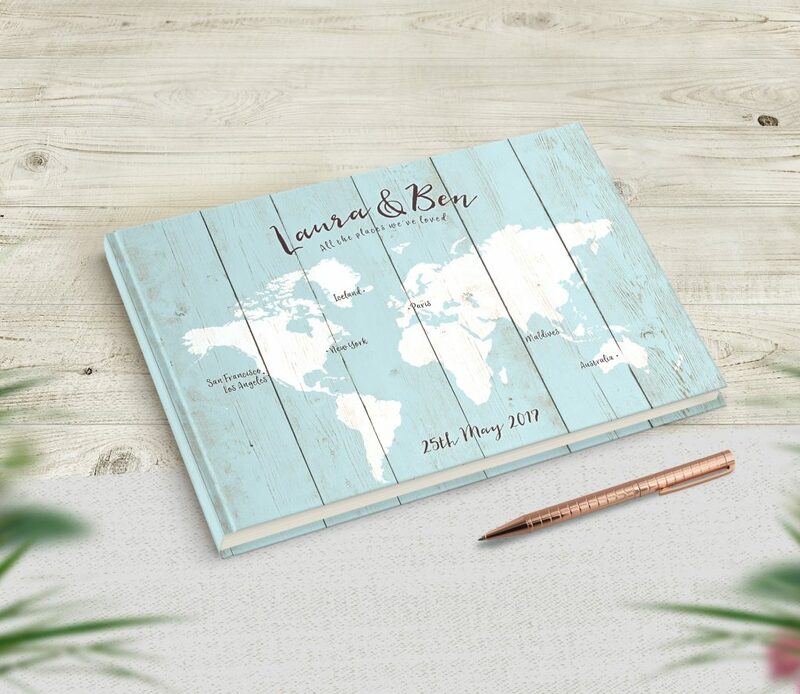 The colours of the map can be changed to anything that suits your wedding colour scheme. 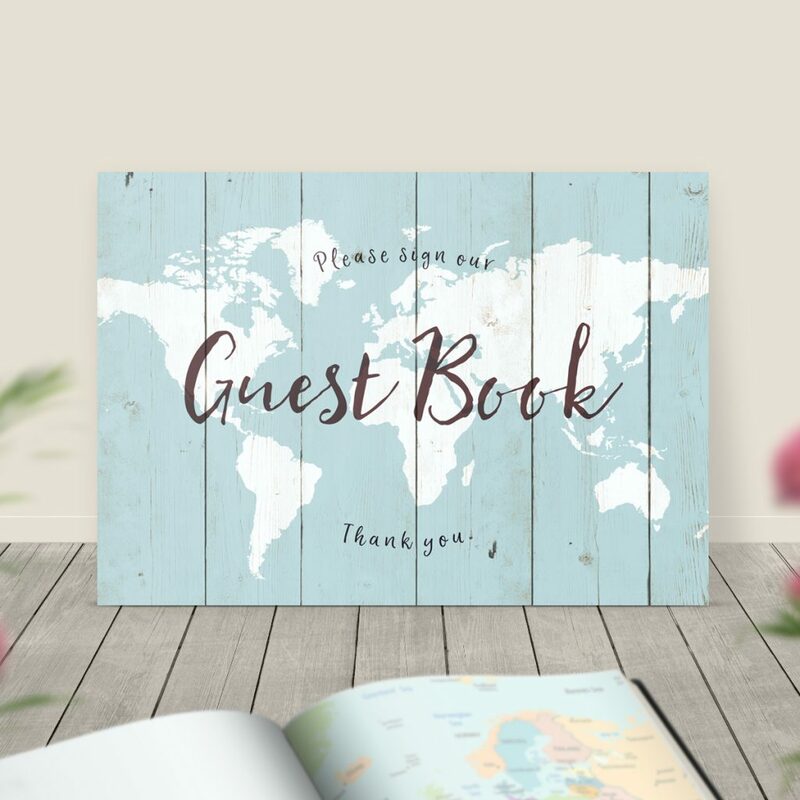 An instant download wedding sign to display near your guestbook so guests know where to sign your guestbook. They are perfect for a rustic or travel themed wedding. 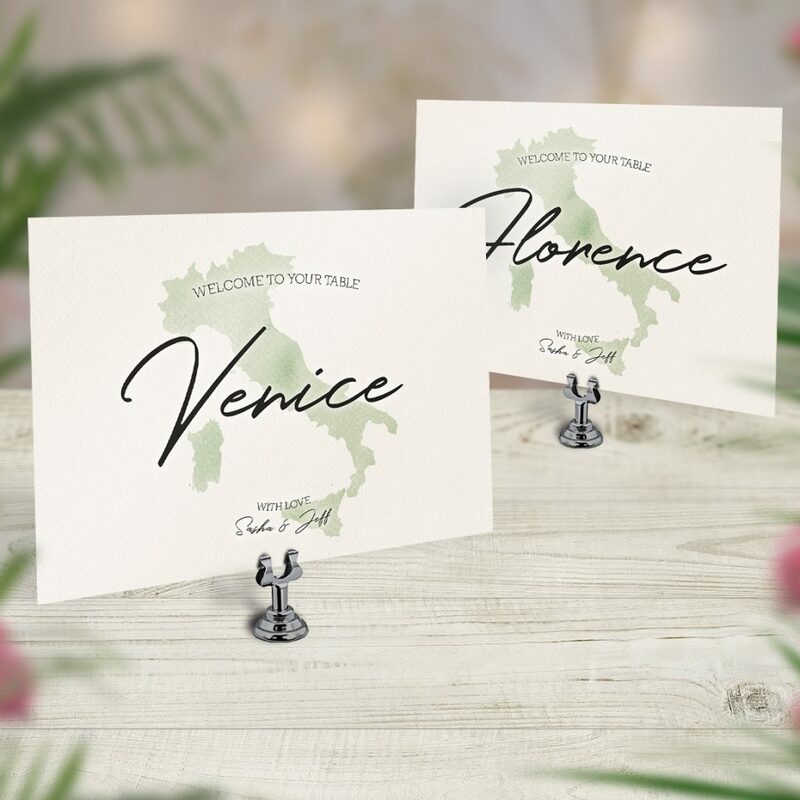 Our Travel Theme Wedding Table Card Names are perfect for travel lovers’ wedding. Printed onto smooth matt card they are subtly unique in their modern watercolour style design. The cards are digitally illustrated and include the place names of your choice, along with your own wording above and below the table names. The table cards feature a watercolour style map on a watercolour style background. The images are not hand painted and are arranged digitally. The background image has the style of watercolour paper, but is not textured.